The Sidama region’s rich soil lends rich nutrients and deep color to its coffee. There are few views as striking as a hillside washing station with more than 300 raised beds full of crimson cherries drying in the sun. Good weather mean good coffee, and this year’s harvest of Ardi is bountiful and flavorful thanks to healthy rainfall during the growing season. 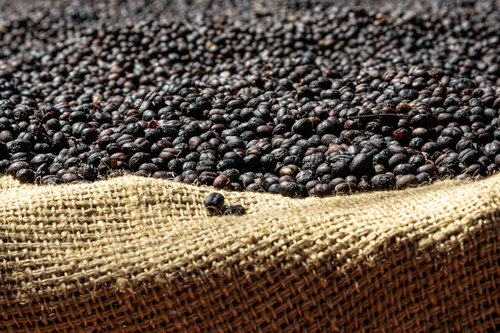 After small farmers harvest their coffee and bring it to their local mill, hundreds of skillful workers continue to sort out overripe and underripe cherries. The coffee dries on raised beds for 8-10 days, and is rotated every 30 minutes to promote even drying. The time spent on the raised beds is complemented by 2-3 days of final drying on a concrete patio. This careful attention during natural processing ensures each bean carries the full, distinctive Ardi flavors and aromatics.